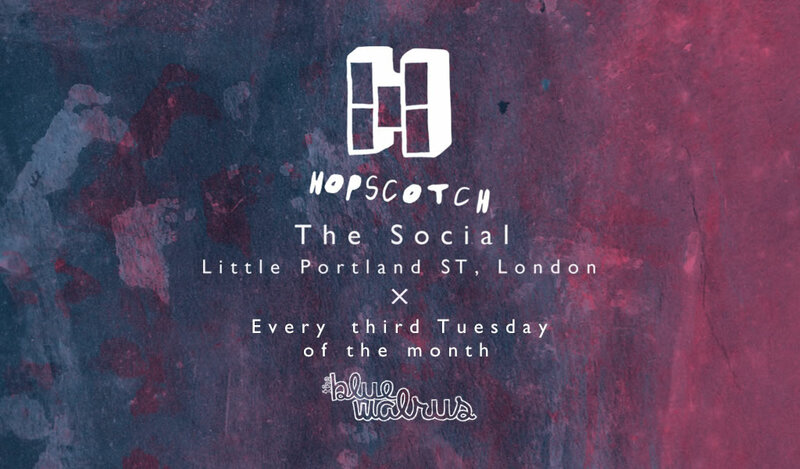 As 2015 comes to a close, we’re very excited to share the news that in 2016 The Blue Walrus will be teaming up with Hopscotch to put on a regular showcase of new British music at London’s The Social. I’ve been chatting with Jack Saunders, he of the early morning slot on Radio X, for a little while about teaming up on his Hopscotch night, and I can’t wait to get things started on 19th January with a showcase featuring the rather fantastic Cairobi, Shiners, and Dead Ceremony. You can buy tickets for the event at WeGotTickets right now for £5 and stay updated with information on the Facebook Event. So how did you get started in the music industry? I was at uni in Nottingham, Nottingham Trent University… It’s a great place – they have two of the best student radio stations in the country there – Nottingham Uni has URN and Nottingham Trent have Fly FM. I saw others from fly doing the exciting stuff, and I wanted a piece of it – so I gave it a shot and I worked really hard – travelled up and down the country for it. When you get started, you know at certain times of day you may only have three friends listening – so there are some trying times – but its a good place to cut your teeth. There are ridiculous connections between student radio and the radio industry, so it’s a great way in. And is it through those connections that you managed to get the British Council’s The Selector show on board? Yeah, at uni I won a competition with them on student radio. So I cover the show every now and again when Goldierocks is off and when I pitched them the idea they thought it sounded pretty exciting. They’re a fantastic organisation for promoting the arts, and I’m really happy to have them on board. So Hopscotch started at the Queen of Hoxton – why the move to The Social? The Queen of Hoxton is a great venue, but it just didn’t fit what I wanted to do – I didn’t want to have a niche or anything, I just wanted to put on good bands. I was really looking for a central London location, so it didn’t fit what I wanted to do. I originally just went to Carl, who runs things at the Social, and asked for some advice on where he thought I should put it on – but he was kind enough to offer me a couple of trial nights there to test it out. You know…The Social puts on some great gigs – Huw Stephens puts on his shows there – and I felt completely out of my depth – but did my best with it and it’s just worked out. Yeah there’s a gap there – after a couple of nights I thought we could really do something here and I started to try and bring some others in to build something bigger from what I had started. So why the name? Why Hopscotch? I remember sitting in the garden when I still lived with my parents – when I’d decided I want to start putting on live gigs, but I didn’t have a name. I was writing all these different names down, and thinking what do I call it? And then I had this flashback to school and playing hopscotch. I don’t think I ever played it..? You must have done! At my school there was a plethora of chalk and a lot of tarmac…. And I thought Hopscotch, that’s quite a cool name. So yeah I thought Hopscotch, a bit of a flashback and not much more than that – I liked it and thought let’s just do this. So there you go ladies and gentlemen – not only a night celebrating new British music in the heart of London, but you might even get to play a little hopscotch before the bands start. We’ll see you there on 19th January!